After a long session pounding the treadmill in the gym, what do you tend to reach for to refresh yourself? The chances are, it’s probably water or a sports drink. But a new BBC show reveals that you’d be better off pouring yourself a glass of milk. For Britain's Favourite Foods: Are They Good For You? Professor Alice Roberts immersed herself in some of the most fascinating recent scientific research about the country's most popular foods. Here, she shares some of the facts she uncovered. To prove that milk is one of the most effective drinks to rehydrate with, Professor Roberts recruited a team of student volunteers from the University of Birmingham to exercise with her, “then rehydrate with three different drinks - milk, water and a sports drink. 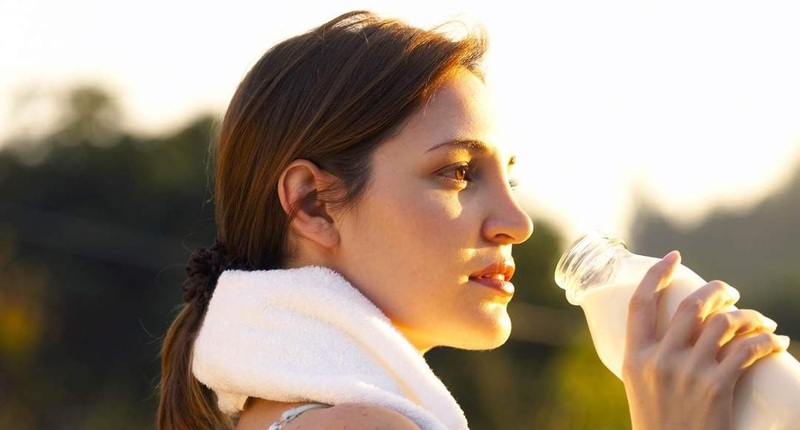 Milk stayed in the system for much longer than water or the sports drink”. The reason, she explains, is because milk releases very slowly into the small intestine, so it is absorbed much more gradually into the bloodstream, helping the body retain fluid for longer. It also has a high number of electrolytes, including sodium and potassium, which are lost from the body when sweating. So if you are training for that ‘Summer Bod’ order Mortons Fresh Milk to be delivered daily and enjoyed post – workout.